Hansal Mehta directorial Omerta, starring Rajkummar Rao, will have a screening at the ongoing Jio MAMI 19th Mumbai Film Festival. Omerta sheds light on the life of British born terrorist Ahmed Omar Saeed Sheikh. The director is currently in Busan for the film's premiere at the 22nd Busan International Film Festival. Omerta marks fourth project of Rajkumar Rao and Hansal Mehta. 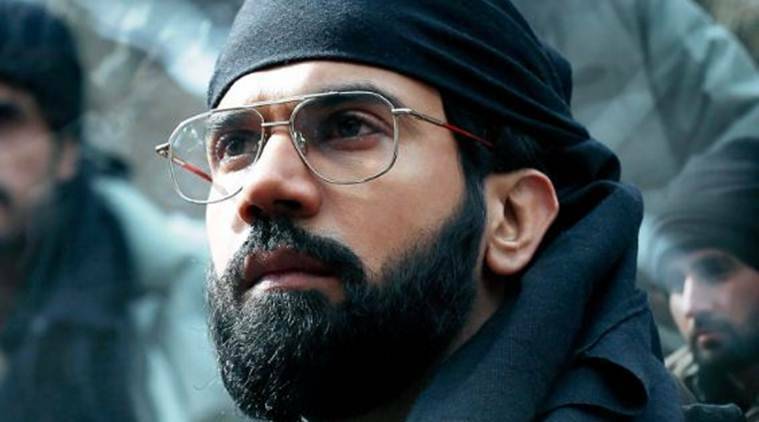 After receiving rave reviews at the Toronto International Film Festival (TIFF), director Hansal Mehta’s Omerta, starring Rajkummar Rao, is coming home with a screening at ongoing Jio MAMI 19th Mumbai Film Festival. Omerta sheds light on the life of British born terrorist Ahmed Omar Saeed Sheikh. Hansal Mehta, who is currently in Busan for the film’s premiere at the 22nd Busan International Film Festival, spoke to indianexpress.com about Omerta’s Indian premiere. “It’s a pleasant surprise. I’m currently screening Omerta here at Busan. It’s always nervous excitement when your film is screening to an audience at home particularly a film with such content,” said Hansal. Omerta follows the story of Ahmed Omar Saeed Sheikh, known for his involvement in the kidnapping and murder of Wall Street Journal reporter Daniel Pearl in 2002. The film is Hansal Mehta and Rajkummar Rao’s fourth collaboration after Shahid, Citylights and Aligarh. Interestingly, their last film together, Aligarh, opened the 17th Mumbai Film Festival (2015) and was premiered at 20th Busan International Film Festival. The film will arrive in theaters next year.